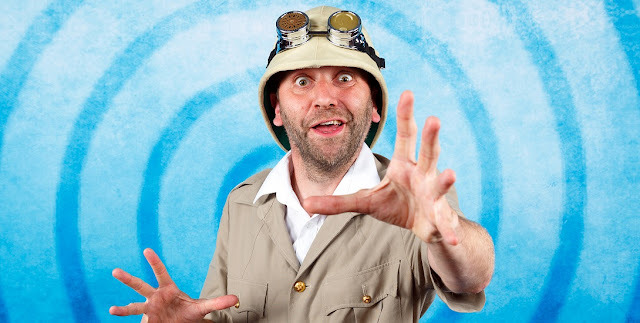 One of the greatest comics events of all time is just around the corner. With The Joker planning to crash the festivities in DC Nation #0 in May, and the wedding of Batman and Catwoman slated to happen in Batman #50 on the fourth of July, fan fever is mounting. Over the last couple of weeks, Batman writer Tom King has shared beautiful images from artists Joëlle Jones and Mikel Janín. These gorgeous pieces of art show Bruce Wayne and Selina Kyle in their wedding gear. 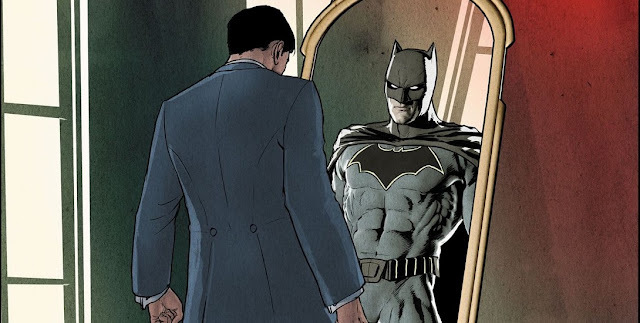 The first image, by artist Mikel Janín, shows Bruce Wayne in his suit. 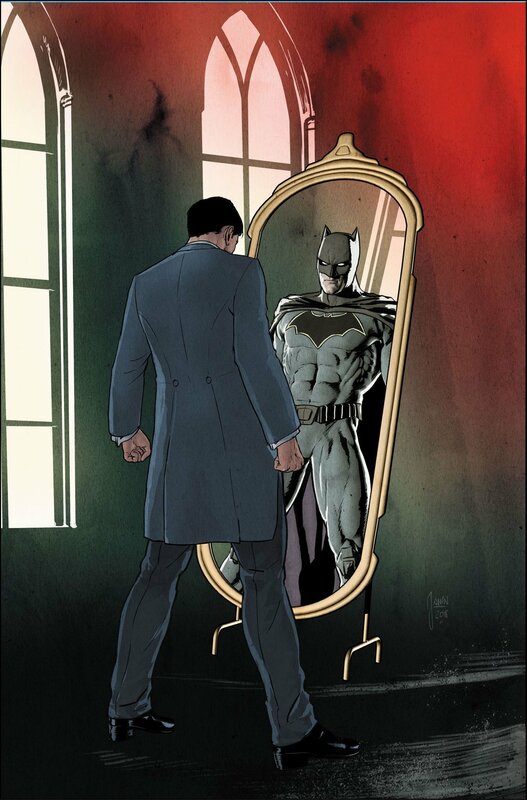 It’s beautifully imagined and executed, with Batman looking back at his alter-ego from his reflection in a full-length mirror. 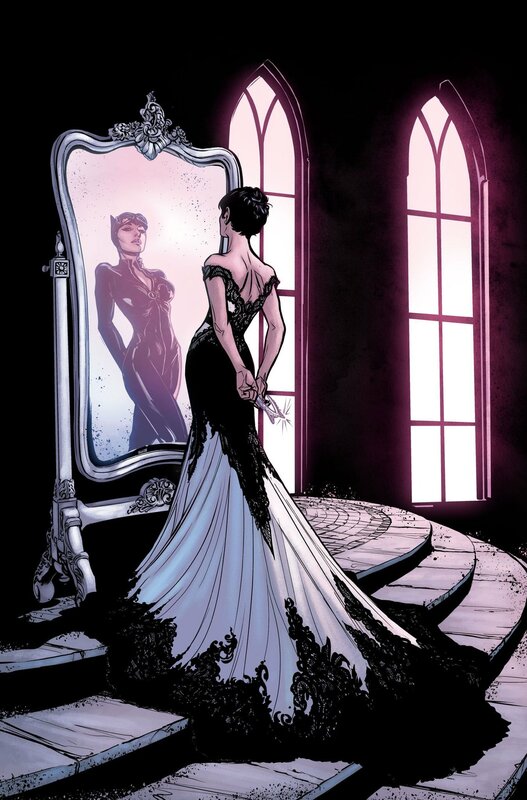 Joëlle Jones’ piece also shows Catwoman checking out Selina Kyle’s stunning, wedding dress from the other side of her reflection. Both pieces are touted to be covers for this extraordinary comics event. I usually don’t fall for the multiple covers ploy, but these two pieces of art are so beautiful that I may have to break my cynical habits, and buy both versions. 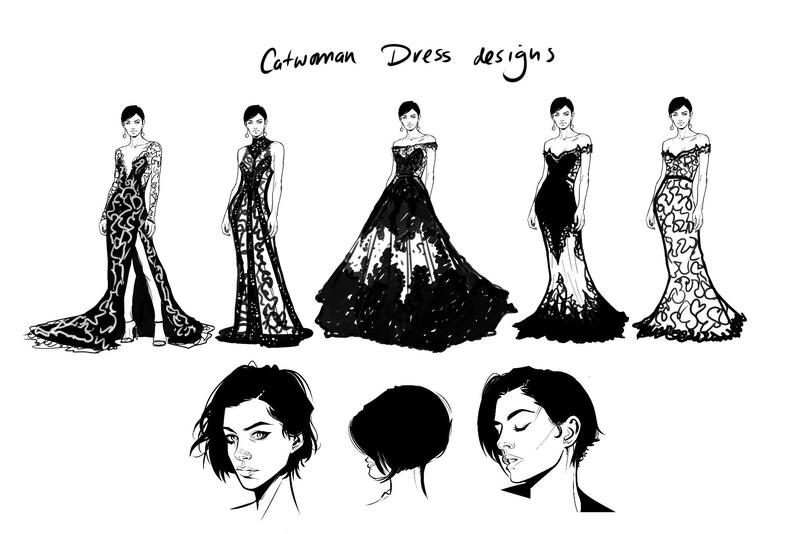 Selina’s black gown is far from traditional, but is so brilliantly designed, and so fitting for her character that I was blown away. 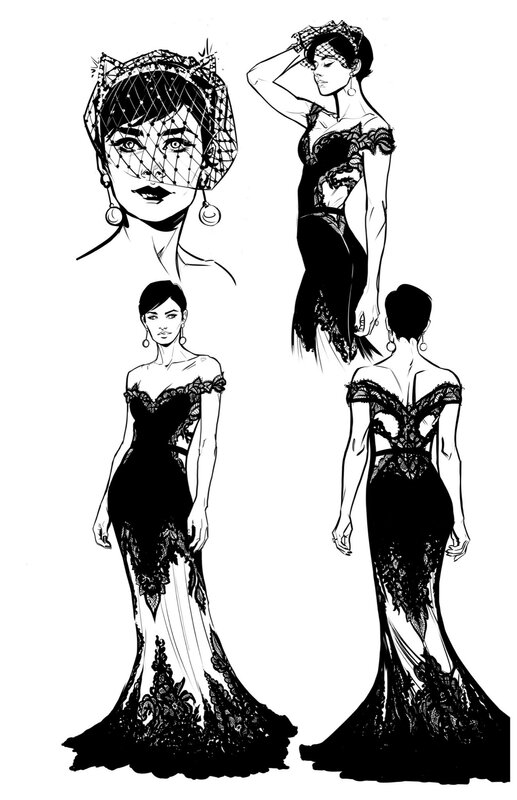 Tom King has even posted Joëlle’s stunning preliminary design sketches of Catwoman’s wedding dress. What do you think? 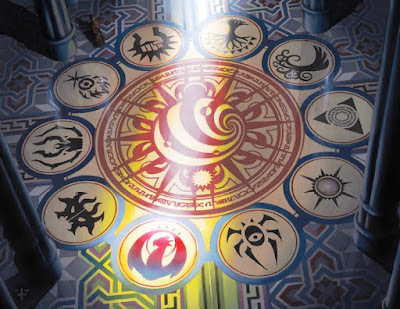 Do you love these designs as much as we do? 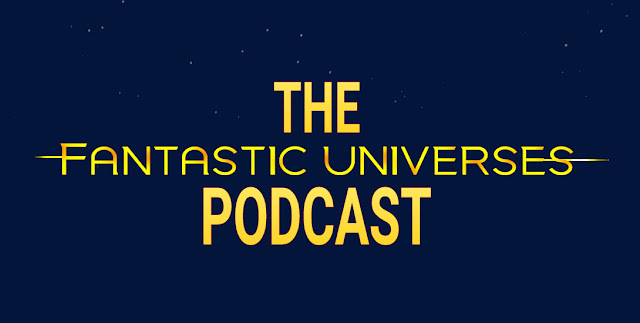 As always, please comment and share your thoughts, as we’d love to hear from you.